Every week, we bring you an article about Migrainse or Headaches for ACHE Tuesday. In this week's ACHE Tuesday article, Dr. Edmund Messina, Medical Director of The Michigan Headache Clinic, discussed the symptoms of tension-type headaches (TTH), how to distinguish them from other kinds of Headaches or Migraines, and what kinds of treatment strategies are available for TTH. Dr. Messina also discussed the role of medication in treating tension-type headaches, including the use of over-the-counter drugs and anti-depressants. He stressed that no one treatment is right for every patient and that consultation with one's doctor is essential in identifying and treating Tension Type Headaches. Please continue reading Tension-Type Headaches - Diagnosis and Treatment. 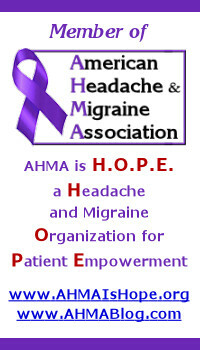 ACHE Tuesday is our day for introducing new Migraine and Headache information for patients. Today, we're looking at how the new year gives us an opportunity to set priorities that can improve our health and quality of life. A new year is the perfect time to evaluate where we stand with our Migraines, Cluster20142014 Headaches, and other Headache disorders. We all want to find effective treatment and improve both our health and quality of life, and setting some priorities can take us down that path in a manner that's more likely to be successful. Keep learning all we can about our Migraines and / or Headaches. One of the keys to effective treatment is working with our doctors as treatment partners, and this learning is the basis to being an effective and successful treatment partner. When patients and doctors work together as treatment partners, the options are laid out, and decisions are made together. We can't truly participate in this type of relationship effectively if we don't understand the disorder and possible treatments. Please take a few minutes to continue reading 2014 Migraine and Headache Priorities.